Maukatere: Floating Mountain is a single long poem sequence that explores and celebrates life below Maukatere (Mt Grey) in the Hurunui. The more experimental style is an exciting development for one of New Zealand’s most eminent poets and winner of the 2015 Prime Minister’s Award for Literary Achievement for poetry. Maukatere features 10 exquisite drawings by Rachel O’Neill. It is published in a handsome hand-bound edition. The first hand-numbered edition has sold out (and even made it to the bestseller list! ), but a second (un-numbered) edition is now available. 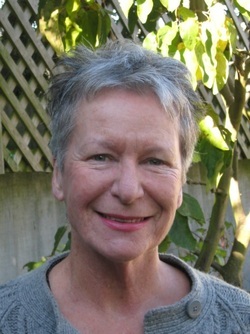 Bernadette Hall is one of New Zealand's leading poets. She has published 10 previous collections of poetry, including The Merino Princess: Selected Poems (VUP 2004) and, most recently, Life & Customs (VUP 2013). Following a career as a high school teacher, she co-founded the Hagley Writers’ Institute in Christchurch. She now lives with her husband John in a renovated fisherman’s bach at Amberley Beach in the Hurunui, North Canterbury. 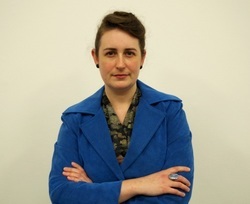 Rachel O'Neill is a filmmaker, writer and artist based in Te Whanganui-a-Tara, Aotearoa. She seeks out fresh ways to see and understand life and art. She strives to represent the humour, candour and strangeness at the heart of human experience. Her first poetry collection, One Human in Height, was published by Hue & Cry Press in 2013. We're currently out of stock of Maukatere: Floating Mountain, but if you'd like us to let you know if we reprint, email contact@seraphpress.co.nz.